Citation: C N Trueman "The Treaty of Versailles"
The Treaty of Versailles was the peace settlement signed after World War One had ended in 1918 and in the shadow of the Russian Revolution and other events in Russia. The treaty was signed at the vast Versailles Palace near Paris – hence its title – between Germany and the Allies. The three most important politicians there were David Lloyd George, Georges Clemenceau and Woodrow Wilson. The Versailles Palace was considered the most appropriate venue simply because of its size – many hundreds of people were involved in the process and the final signing ceremony in the Hall of Mirrors could accommodate hundreds of dignitaries. Many wanted Germany, now led by Friedrich Ebert, smashed; others, like Lloyd George, were privately more cautious. The total deaths of all nations who fought in the war is thought to have been 8.5 million with 21 million being wounded. Alongside these statistics, was the fact that vast areas of north-eastern Europe had been reduced to rubble. Flanders in Belgium had been all but destroyed with the ancient city of Ypres being devastated. The homes of 750,000 French people were destroyed and the infrastructure of this region had also been severely damaged. Roads, coal mines, telegraph poles had all been destroyed and such a loss greatly hindered the area’s ability to function normally. The victors from World War One were in no mood to be charitable to the defeated nations and Germany, in particular, was held responsible for the war and its consequences. During mid-1918, Europe was hit by Spanish flu and an estimated 25 million people died. This added to the feeling of bitterness that ran through Europe and this anger was primarily directed at Germany. The treaty was signed on June 28th 1919 after months of argument and negotiation amongst the so-called “Big Three” as to what the treaty should contain. Who were the “Big Three” and where did they clash over Germany and her treatment after the war ? The “Big Three” were David Lloyd George of Britain, Clemenceau of France and Woodrow Wilson of America. David Lloyd George of Great Britain had two views on how Germany should be treated. His public image was simple. He was a politician and politicians needed the support of the public to succeed in elections. If he had come across as being soft on Germany, he would have been speedily voted out of office. The British public was after revenge and Lloyd George’s public image reflected this mood. “Hang the Kaiser” and “Make Germany Pay” were two very common calls in the era immediately after the end of the war and Lloyd George, looking for public support, echoed these views. However, in private Lloyd George was also very concerned with the rise of communism in Russia and he feared that it might spread to western Europe. 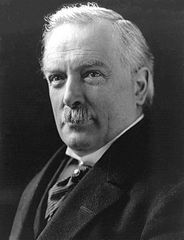 After the war had finished, Lloyd George believed that the spread of communism posed a far greater threat to the world than a defeated Germany. Privately, he felt that Germany should be treated in such a way that left her as a barrier to resist the expected spread of communism. He did not want the people of Germany to become so disillusioned with their government that they turned to communism. Lloyd George did not want Germany treated with lenience but he knew that Germany would be the only country in central Europe that could stop the spread of communism if it burst over the frontiers of Russia. Germany had to be punished but not to the extent that it left her destitute. However, it would have been political suicide to have gone public with these views. Georges Clemenceau of France had one very simple belief – Germany should be brought to its knees so that she could never start a war again. 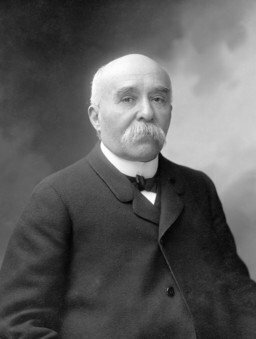 This reflected the views of the French public but it was also what Clemenceau himself believed in. He had seen the north-east corner of France destroyed and he determined that Germany should never be allowed to do this again. “The Tiger” did not have to adapt his policies to suit the French public – the French leader and the French public both thought alike. 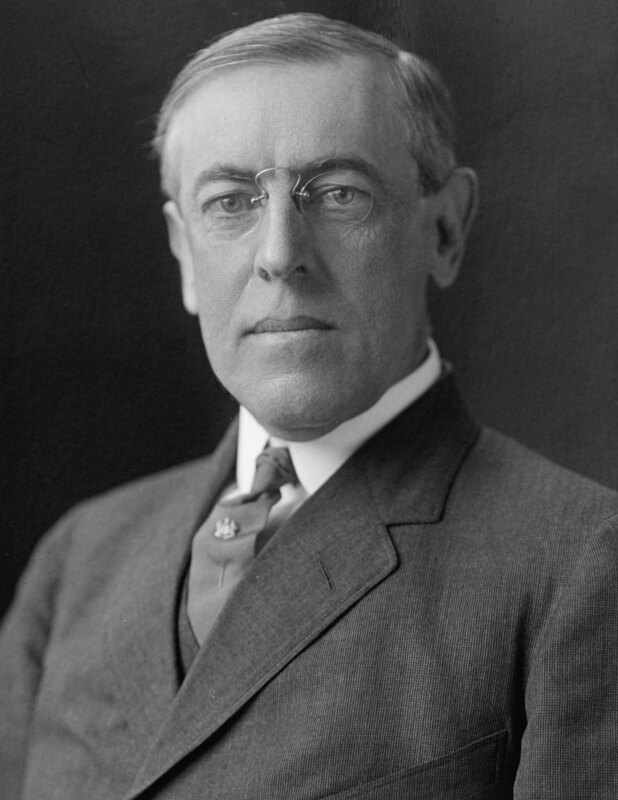 Woodrow Wilson of America had been genuinely stunned by the savagery of the Great War. He could not understand how an advanced civilisation could have reduced itself so that it had created so much devastation. In America, there was a growing desire for the government to adopt a policy of isolation and leave Europe to its own devices. In failing health, Wilson wanted America to concentrate on itself and, despite developing the idea of a League of Nations, he wanted an American input into Europe to be kept to a minimum. He believed that Germany should be punished but in a way that would lead to European reconciliation as opposed to revenge. all countries should belong to the League of Nations. Linked to the “Big Three” was Italy led by Vittorio Orlando. He was frequently left on the sidelines when the important negotiations took place despite Italy fighting on the side of the Allies. Why was Italy treated in this manner? At the start of the war in 1914, Italy should have fought with Germany and Austria as she had signed the Triple Alliance which dictated that if one of the three was attacked, the other two would go to that country’s aid. Italy did not join in on Germany’s side but waited until 1915 and joined the side of Britain and France. This association with Germany was enough to taint Italy in the eyes of the “Big Three”. Also Italy had not played an overwhelming part in the war. Her army had been beaten at the battles of Caporetto. Her strategic importance to central Europe was minimal whilst Britain dominated the Mediterranean with naval bases in Malta and Gibraltar. Italy’s potential military clout in 1919, should the need arise to put pressure on Germany and Austria, was limited. Therefore, the three main nations in the lead up to the treaty were far from united on how Germany should be treated. The eventual treaty seemed to satisfy everyone on the sides of the Allies. For France, it appeared as if Germany had been smashed; for Britain, Lloyd George was satisfied that enough of Germany’s power had been left to act as a buffer to communist expansion from Russia; Wilson was simply happy that the proceedings had finished so that he could return home. So what exactly did the treaty do to Germany? The League of Nations also took control of Germany’s overseas colonies. Germany had to return to Russia land taken in the Treaty of Brest-Litovsk. Some of this land was made into new states : Estonia, Lithuania and Latvia. An enlarged Poland also received some of this land. She was not allowed an airforce. She was allowed only 6 capital naval ships and no submarines. The west of the Rhineland and 50 kms east of the River Rhine was made into a demilitarised zone (DMZ). No German soldier or weapon was allowed into this zone. The Allies were to keep an army of occupation on the west bank of the Rhine for 15 years. The loss of vital industrial territory would be a severe blow to any attempts by Germany to rebuild her economy. Coal from the Saar and Upper Silesia in particular was a vital economic loss. Combined with the financial penalties linked to reparations, it seemed clear to Germany that the Allies wanted nothing else but to bankrupt her. Germany was also forbidden to unite with Austria to form one superstate, in an attempt to keep her economic potential to a minimum. Germany had to admit full responsibility for starting the war. This was Clause 231 – the infamous “War Guilt Clause”. Germany, as she was responsible for starting the war as stated in clause 231, was, therefore responsible for all the war damage caused by the First World War. Therefore, she had to pay reparations, the bulk of which would go to France and Belgium to pay for the damage done to the infrastructure of both countries by the war. Quite literally, reparations would be used to pay for the damage to be repaired. Payment could be in kind or cash. The figure was not set at Versailles – it was to be determined later. The Germans were told to write a blank cheque which the Allies would cash when it suited them. The figure was eventually put at £6,600 million – a huge sum of money well beyond Germany’s ability to pay. A League of Nations was set up to keep world peace. In fact, the first 26 clauses of the treaty dealt with the League’s organisation. After agreeing to the Armistice in November 1918, the Germans had been convinced that they would be consulted by the Allies on the contents of the Treaty. This did not happen and the Germans were in no position to continue the war as her army had all but disintegrated. Though this lack of consultation angered them, there was nothing they could do about it. 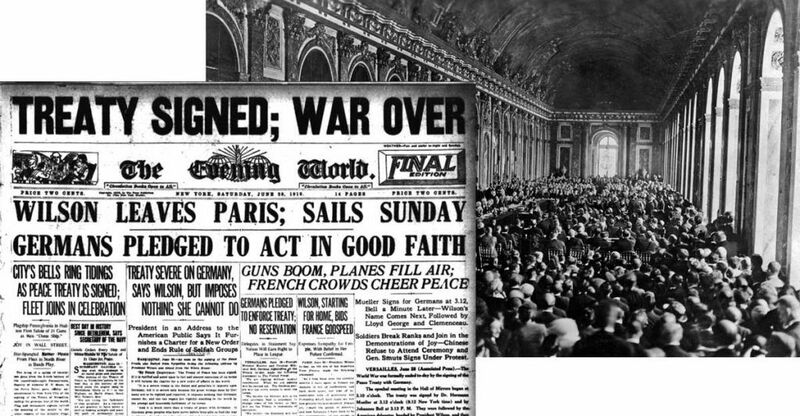 Therefore, the first time that the German representatives saw the terms of the Treaty was just weeks before they were due to sign it in the Hall of Mirrors at the Palace of Versailles on June 28th 1919. There was anger throughout Germany when the terms were made public. The Treaty became known as a Diktat – as it was being forced on them and the Germans had no choice but to sign it. Many in Germany did not want the Treaty signed, but the representatives there knew that they had no choice as Germany was incapable of restarting the war again. In one last gesture of defiance, the captured German naval force held at Scapa Flow (north of Scotland) scuttled itself i.e. deliberately sank itself. be invaded by the Allies. They signed the Treaty as in reality they had no choice. When the ceremony was over, Clemenceau went out into the gardens of Versailles and said “It is a beautiful day”. The Treaty seemed to satisfy the “Big Three” as in their eyes it was a just peace as it kept Germany weak yet strong enough to stop the spread of communism; kept the French border with Germany safe from another German attack and created the organisation, the League of Nations, that would end warfare throughout the world. However, it left a mood of anger throughout Germany as it was felt that as a nation Germany had been unfairly treated. Above all else, Germany hated the clause blaming her for the cause of the war and the resultant financial penalties the treaty was bound to impose on Germany. Those who signed it (though effectively they had no choice) became known as the “November Criminals”. Many German citizens felt that they were being punished for the mistakes of the German government in August 1914 as it was the government that had declared war, not the people. The League of Nations was created. This did happen even if Germany was initially excluded from it. Land had to be handed over the Poland, France, Belgium and Denmark. This did happen – all the land Germany was required to hand over, was handed over. Territory put under League of Nations control was handed over to the League. All overseas colonies were to be handed over to the League. This did happen. All land taken from Russia had to be handed back to Russia. This did happen though land in the western area became Latvia, Lithuania and Estonia in keeping with the belief in national self-determination. Germany’s army had to be reduced to 100,000 men. On paper this happened. The fact that Germany side-stepped the rule did not mean that she literally broke it – though what she did was a deliberate attempt to break this term. German soldiers in the 1920’s were signed on for a short contract of service and then put in the reserves once their time had finished. Therefore, Germany never had more than 100,000 soldiers serving at any one time though she certainly had substantial reserve soldiers which boosted Hitler when he renounced the clauses of Versailles. Germany’s navy was reduced to 6 battleships with no submarines. This happened. Germany could not afford battleships in the aftermath of the war and most navies were now moving to smaller (by degrees), faster ships that could also carry weapons that carried a punch – such as cruisers. Aircraft carriers were also being developed with greater commitment. Submariners were trained abroad – Versailles did not cover this, so it did not break the terms of Versailles – only the spirit. No air force was allowed. This happened but as with submariners, potential pilots were trained abroad or using gliders in Germany to educate them in the theory of flying. This did not break Versailles. Western Germany was to be demilitarised. This happened. Germany was forbidden to unite with Austria. This happened. Germany had to accept the “War Guilt Clause” and pay reparations. The former happened in the sense that Germany signed the Treaty which meant that she accepted this term on paper – if not in fact. Germany did try and pay reparations when she could do so. She did not refuse to pay in 1922. She simply could not produce what was needed that year and this led to the French invasion of the Ruhr. In the 1920’s it was the Allies who took the decision to reduce reparations and eased Germany’s plight in so doing. The first instance of refusal to pay reparations came in 1933 when Hitler announced that Germany would not pay – and the Allies did nothing. Therefore, throughout the 1920’s, in nearly all parts of the Treaty, the terms were carried out. It was after 1933 that there was a systematic breaking of the terms when the Nazis came to power. It is often forgotten that with the energy put into the punishment of Germany, other countries fought on her side and, equally, had to be dealt with. These countries were Austria-Hungary, Bulgaria and Turkey. Austria-Hungary had to sign two peace settlements, indicative of the fact that this state was shortly to be divided into two. Austria signed the Treaty of Saint Germain. Hungary signed the Treaty of Trianon. Austria and Hungary were treated as two completely new countries after these treaties were signed. Both lost land to neighbouring countries; the new state of Czechoslovakia was effectively created out of this carve-up of land; large blocks of land went to Poland, Romania and Yugoslavia. Part of Austria went to Italy. Both new countries had to reduce their military capability and both states had to pay reparations for war damage. However, the figures involved were nowhere near as high as the figure imposed on Germany. Bulgaria had to sign the Treaty of Neuilly. Bulgaria lost land to the new state of Yugoslavia, had to reduce her military capability and had to pay reparations. Turkey, or the Turkish Empire to be precise, had to sign the Treaty of Sevres. This was a very harsh treaty. Why was Turkey treated this way? Memories were still clear to many people on the Allied side of what had happened at Gallipoli when the ANZACS suffered appalling losses at the hands of the Turks in what was one of the the Allies greatest defeat of World War One. To an extent, there was an element of revenge on “Johnny Turk” who had had the audacity to inflict defeat on one of the major powers of the world – Great Britain. Turkey lost most of her land in Europe. Turkey was left with but a toe-hold on what is considered Europe. The Turkish Straits was put under the control of the League of Nations at a time when it was dominated by Britain and France. The land held by Turkey in Arabia was made into a mandate – the land was ruled by the British and French until the people of the areas were ready to govern themselves. Syria and Lebanon went to France while Iraq, Transjordan and Palestine went to Britain. Armies from Britain, France, Greece and Italy occupied what was left of Turkey – the area known as Asia Minor. The treaty only served to anger the nationalist Turks who sought to overturn it. This they started to do in 1921.